The Minas Viejas waterfall is located in the municipality of El Naranjo, in the state of San Luis Potosí , in Mexico . From the city of San Luis Potosí, take Highway 80 ( Tampico -Barra de Navidad), 273 km to El Naranjo, once there 16 km on the road to La Hincada, take the detour to Maitinez and Minas Viejas . 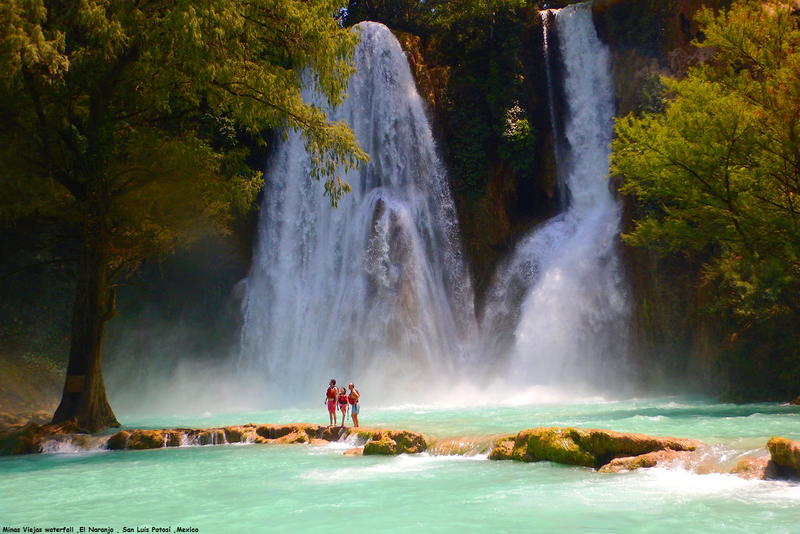 Enjoy the most beautiful waterfalls of the Huasteca Potosina, beginning with the wonderful Meco waterfalls, and continuing with the breathtaking Minas Viejas waterfall, that has an impressive fall of 50 meters. Here you can camp and swim, as well as visit the vicinity where other waterfalls are located and the lagoon of Los Patos, where you can fish.